From December 8, 2015 in the Research Hall (Sector A) of Daugavpils Mark Rothko Art Centre will be displayed new exposition devoted to the artist Mark Rothko. The new exposition will replace the previously shown exhibition “ROTHKO MEMORIAL PORTFOLIO” which consisted of 13 renowned British artists’ graphic artwork collection. The new exhibition will give viewers a fuller picture of Mark Rothko’s surrealism and classical periods of art. There will be displayed M. Rothko’s artwork reproductions on canvas and paper. The exhibition will include information about the artist’s most read books and visitors will have opportunity to listen to the music which the artist listened to in his studio while working. The short film, created by the Museum of Modern Art in New York (MoMA), will show the viewer the complicated process of Rothko’s paintings creation and the time and work consuming technique that the artist used for his classic period paintings. 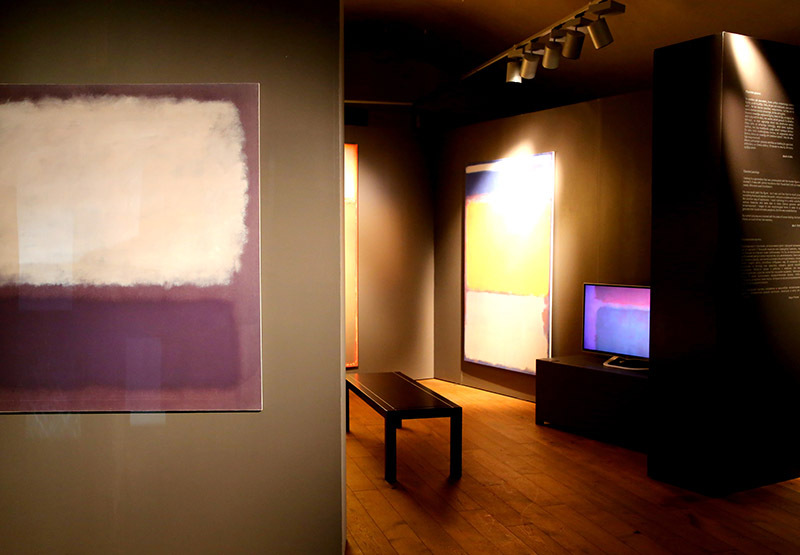 The new exposition in the Rothko Research Hall will be on display till April 10, 2016.